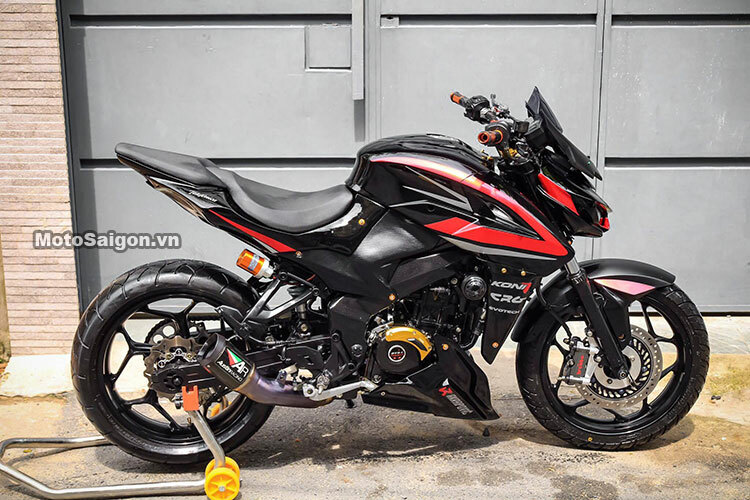 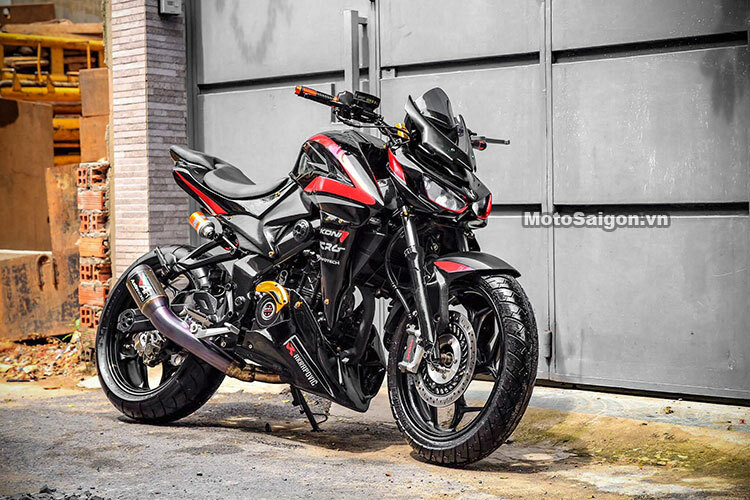 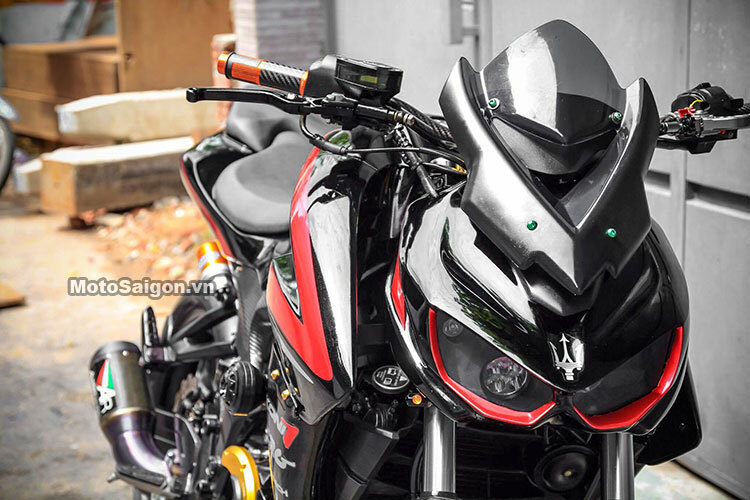 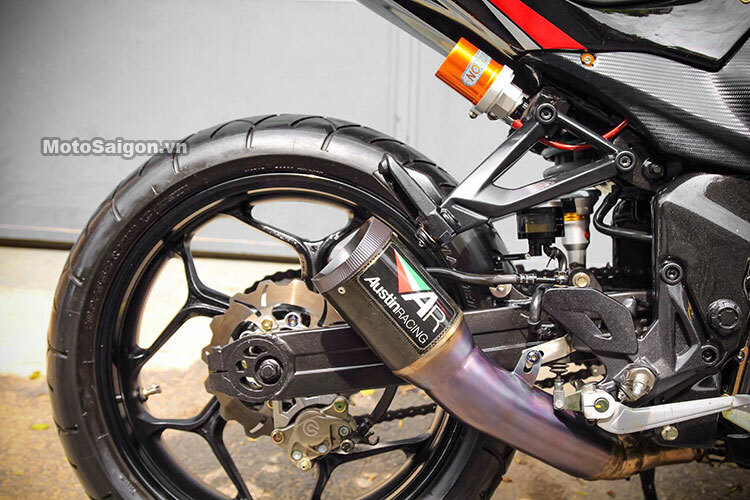 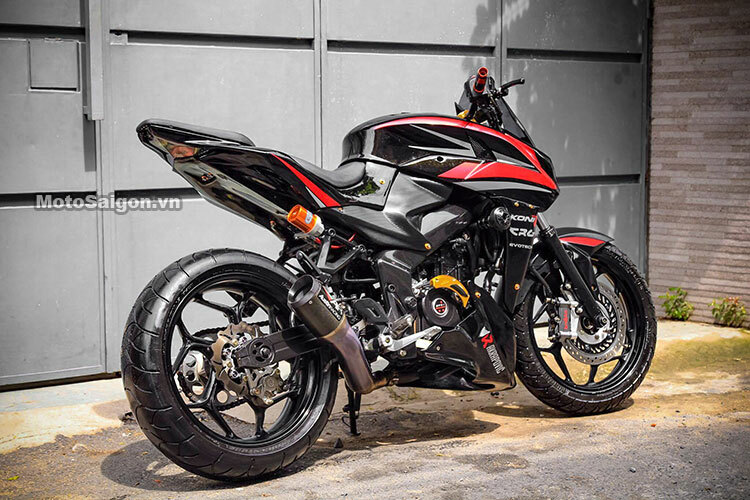 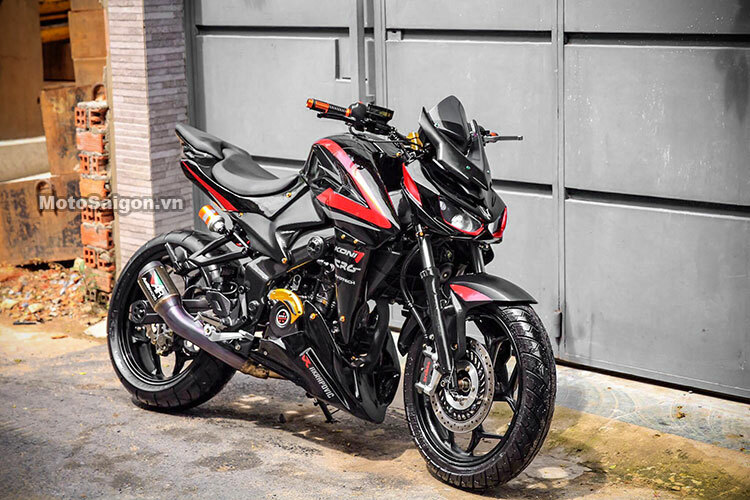 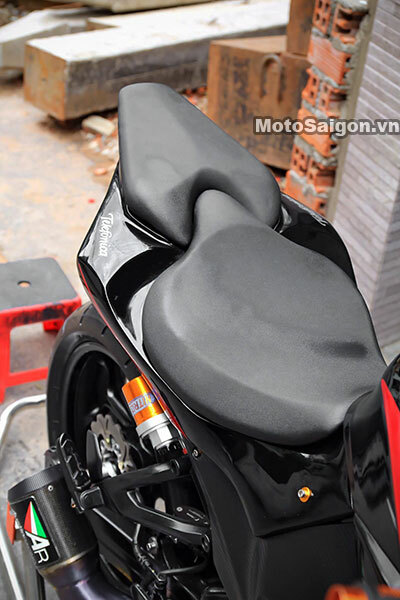 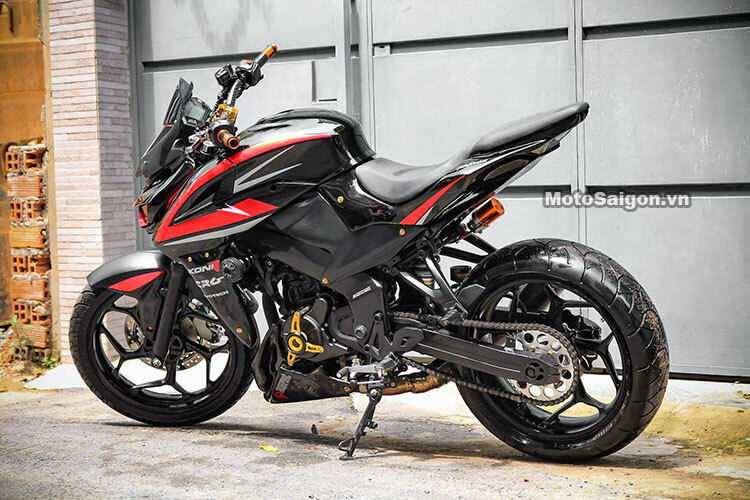 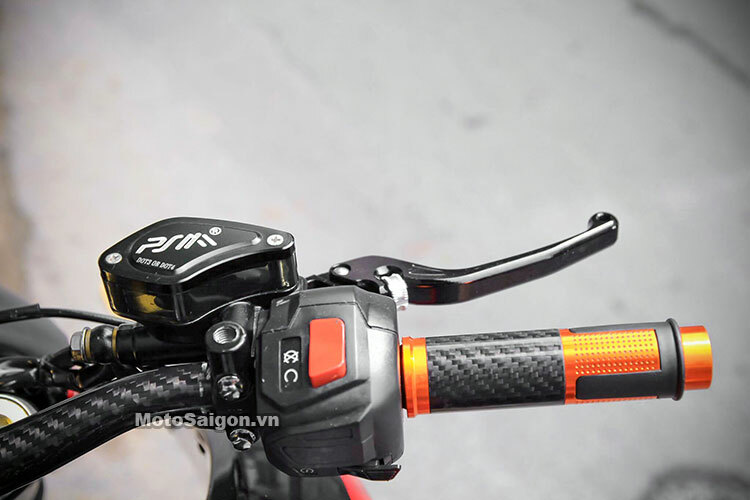 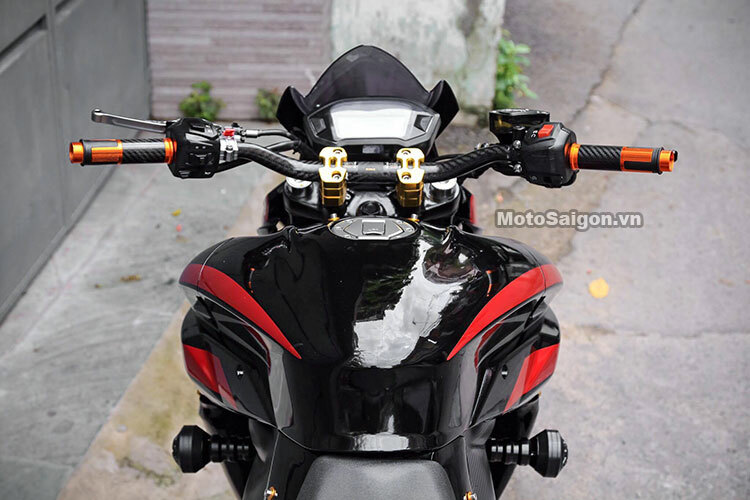 Bajaj Pulsar NS200 street fighter has got a really exciting mod job in Vietnam. 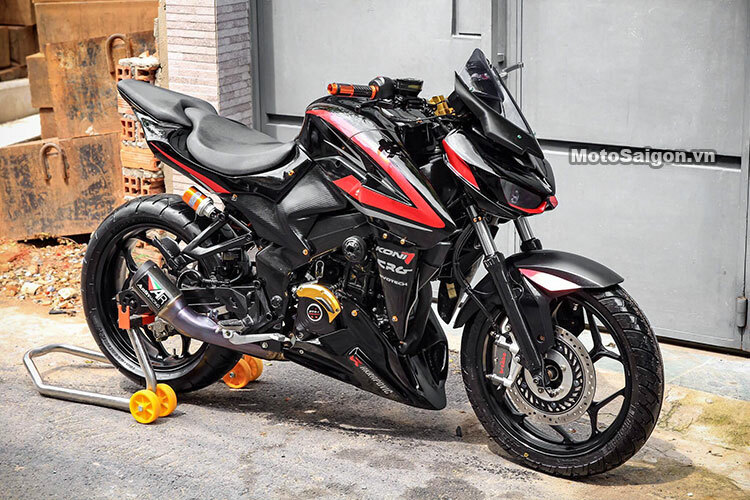 The owner of this typical Bajaj NS200 was obsessed with the Kawasaki Z1000 styling and carried over that angry face onto his Pulsar, resulting in an economical performance bike with liter class naked bike essence. 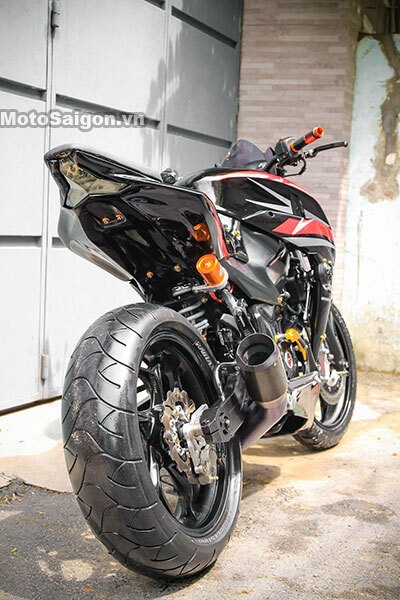 The biggest surprise is that the engine was modified with a bigger bore, making it 350cc in displacement. 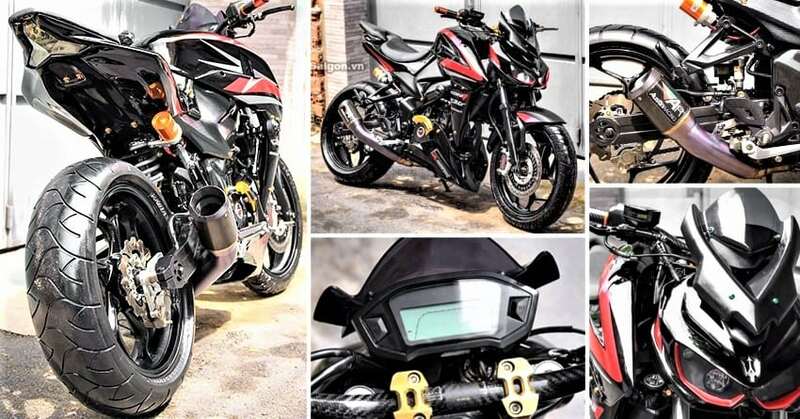 Say Hello to the Pulsar NS350! 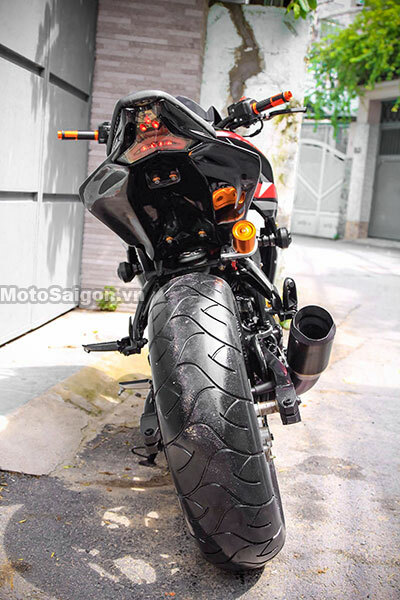 The rear tyre was replaced with a much thicker 180 section wheel while the front fascia now uses LED lights. 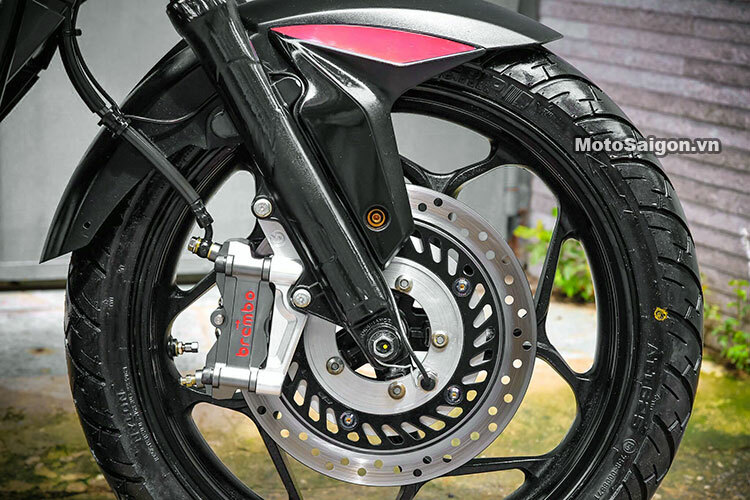 Other equipment on the motorcycle include Austin Racing exhaust, Brembo brake calipers, new instrument console and restyled rear end design with LED tail lights. 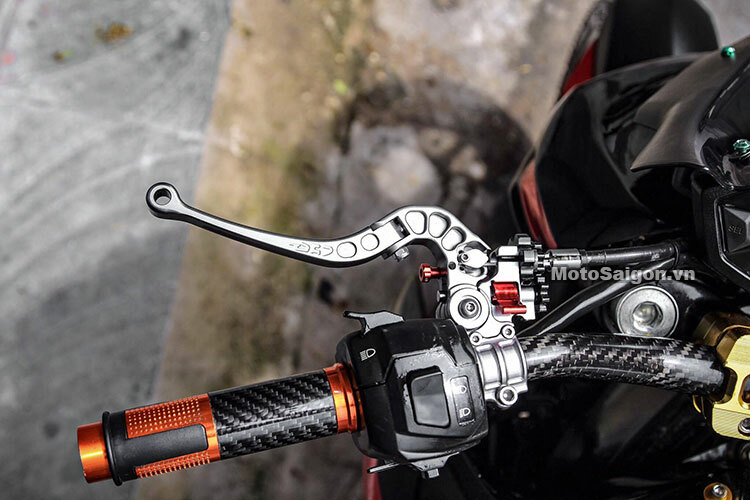 The instrument console is now fully digital and the handlebar gets the carbon fiber treatment on the front end while the rear now uses a sharper design with Z1000 taillight and absence of the plastic fender. 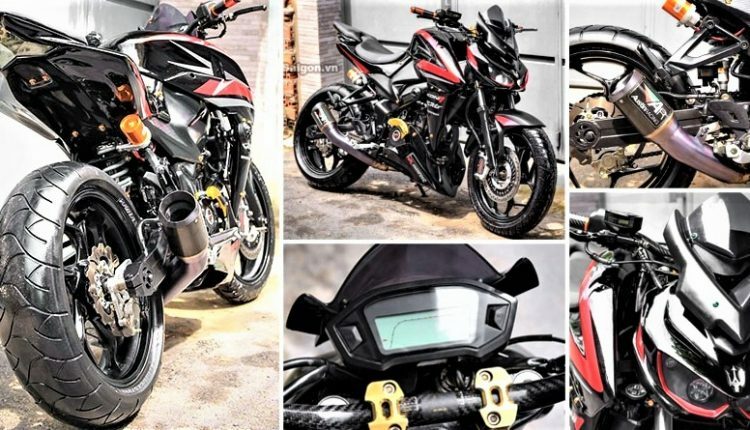 The only one thing that makes it a NS200 is the fuel tank and its shrouds, that too merged with little fairing around the engine. 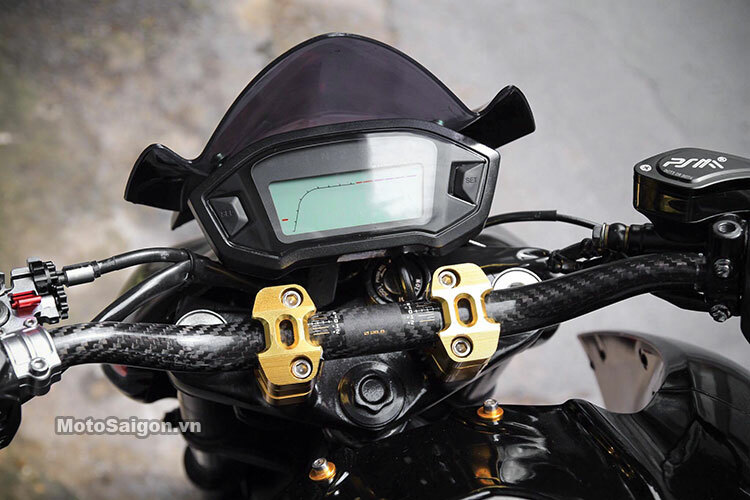 The headlight even now gets a custom visor, most probably protecting the rider from winds at higher speeds.